For anyone who doesn’t work in the field, it may come as a surprise to learn that unlike a hedge fund, which can live on forever, a Private Equity fund has the same life expectancy as a goat: Ten years. Its managers work with a ticking clock. The life span colours everything as they hunt for companies in which new technology, a tweak to operations or a change to the business model will create a higher valuation within a few years. As a fund approaches the finish line, it has to start shedding its assets. Some funds — just pools of money — may have year-long extensions built in but, when time’s up, they have to exit their investments and distribute the profits to investors. By that stage, many are already forming their next fund. Raising hundreds of millions of dollars or more for a new fund can easily take over a year, so the well-known firms usually hire a placement agent when an existing fund is 75 per cent invested and start raising capital for the next iteration. Here’s the thing. A whack of Private Equity funds, like the Boomers, are entering their senior years. Michael Akkawi, head of the Private Equity Practice at Torys LLP in Toronto, says right now as many as half of North American PE funds are in the latter part of their life cycles. That means there are a lot of assets to be shed and firms going to market in competition for capital. A lot of this is happening around the same time, so in terms of raising capital we’re seeing a lot of activity. Just in Canada, you’ve got almost all the typical names that either just closed raising a fund or are in the middle of it,” Akkawi says. Even so, that’s a ton of money chasing deals. Newly capitalized funds like to hit the ground running and start bagging acquisitions as soon as possible. No one likes to see undeployed cash, known as “dry powder,” just sitting around. What that means is that aside from a lot of financing work, lawyers are seeing a lot of Private Equity M&A work although many, if not most, transactions, unless they involve a listed company, won’t be made public. Interestingly, when Private Equity transactions do become public, they typically involve buying a publicly traded or high-profile Canadian company. The kind of deals that make headlines. And the headlines can make it seem as if US firms are hogging the lion’s share of Canadian PE transactions. 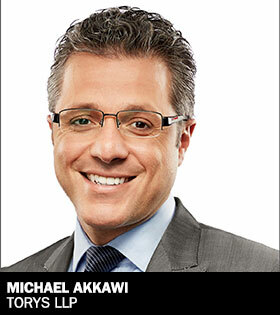 Not true, says Akkawi. US funds may be linked to one or two mega-deals a year and they’re also around on many mid-market deals. But he says there are scores of transactions in the $3-million to $500-million range being done regularly by Canadian PE firms, many of whom, by the way, also hunt south of the border. “Onex and Brookfield are very large players in Private Equity, just to name a couple,” he says. “They both have large Private-Equity funds in the billions that they invest not just in Canada but around the world. “The next layer are very sophisticated mid-market. These would be ONCAP, Birch Hill, Torquest, Clairvest, Imperial Capital and one or two others. This is where we have a lot of deal activity in Canada and, given their size, they also look to the US for investment. It’s not just because of deal size. It’s also because Canadian firms invest a lot of time courting local family-owned businesses, discussing vision and strategy, in the hopes that when the time comes they will sell to them without a competitive auction. Akkawi calls that “the golden egg” for Private Equity funds, and he says in Canada, Canadians have clear home-field advantage. 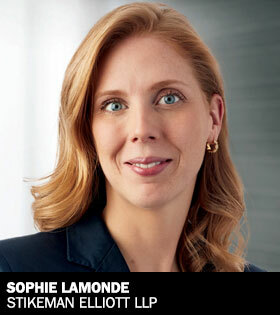 Like Private Equity lawyers in other parts of the country, Sophie Lamonde, a partner at Stikeman Elliott LLP in Montréal, is seeing a high number of smaller and mid-market deals. She agrees that Canadian PE players are getting a lot of traction, with new names popping up in auctions. But with so much Private Equity capital being raised for new funds right now, she says, Canadian firms face increasing competition on their own turf. From a buyer’s perspective, given their finite life span, one of the issues for Private Equity investors is always going to be exit strategy. In the past, probably the most common way for Private Equity firms to exit was through an Initial Public Offering. But Canadian investors haven’t had much appetite for new issues. A PwC study showed just 54 initial public offerings last year totaling $2.2 billion on all four major Canadian stock exchanges — less than half of 2017, which was hardly a stellar year either. The largest single IPO was the $462 million raised by HR software firm Ceridian HCM Holding. In the US, in contrast, a single offering, for Alibaba Group Holding, raised US$21.77 billion — more than 10 times all Canadian IPOs. US markets saw 191 IPOs in 2018 raising US$46.8 billion, according to the Business Insider. Susan Tomaine, a partner at Blake, Cassels & Graydon LLP in Vancouver, says Private Equity managers don’t have high expectations of being able to make an exit through an IPO in Canada these days. The thinking behind a bolt-on acquisition is that by buying a company that provides complementary services, technology or geographic diversification to an existing asset, the fund is creating a bigger, more efficient company with a higher valuation. It’s a play Private Equity lawyers say they’ve done fairly often recently, and one that’s seen as an effective exit strategy. 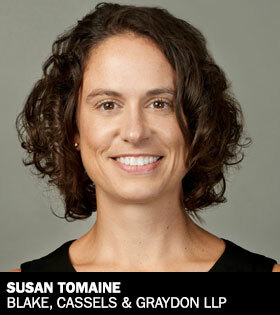 That said, Tomaine says some sectors are unquestionably more attractive to PE buyers than others. She points to tech and says, for example, the University of British Columbia’s active support of technology research has drawn a fair bit of Private Equity attention. In Western Canada, she says, you also have to look at the resource sector: In BC, mining in particular. She acknowledges interest in that area isn’t great at the moment. “It’s a tough market to raise funds right now and I’m not saying we’re going to see a lot of new Private Equity coming into mining, but there are Private Equity investors who know that space and they understand the capital cycle of the mining industry. Even more than mining, much of the focus of Private Equity in Western Canada was traditionally beamed at the oil patch. It wasn’t very long ago US Private Equity firms were flying someone up to Calgary on a weekly basis to build relationships and sniff out potential opportunities. They are still coming but not at the same rate, according to Mercury. Still, he says, PE funds have been doing “a healthy level” of deals across Canada. As to where the money is going, he says it depends very much on the sector. But in the oil patch, it’s not going into producers and explorers. Not right now. Instead most Private Equity capital is going into mid-stream assets that are yield-oriented. With so many planned new pipelines either cancelled or held up by litigation, regulatory processes, or pushback from Aboriginal and environmental groups, Private Equity money is waiting to see whether Canada can get its landlocked oil and gas to a coast in meaningful amounts for export overseas. As large international energy companies are pulling out of Canadian projects, he says, it’s often PE firms buying their assets — Canadian and American. He’s working in two such deals right now. The bottom line, he says, is there is a lot of pent-up dry powder that needs to be spent over the next year or two. Sandra Rubin is a Toronto writer and strategic consultant.